Dish TV have been growing quite aggressively over past couple of years. There TV commercials as well as Outdoor advertising have been top notch. Today DTH announced a significant milestone of becoming Asia’s largest DTH Company and is now the preferred choice of more than 9 million subscribers. Continuing its subscriber acquisition spree, Dish TV attained an unparalleled 1 million subscriber additions in less than three months. Having reached the momentous 8 million subscribers mark in the last week of August ’10, the 9 million number implies an almost twofold increase over its average subscriber addition run-rate off late. 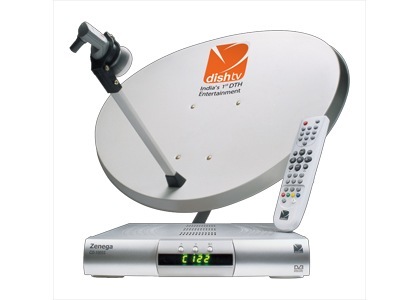 Having already added 2.1 million subscribers since April ‘10, Dish TV seems right on course to achieve the management guided 3 million plus subscriber acquisition target for the current fiscal. It would be interesting to watch how competitors like Airtel and Tata Sky overcome this competition! very good chanells in dish tv tru hd chanells very good picture.